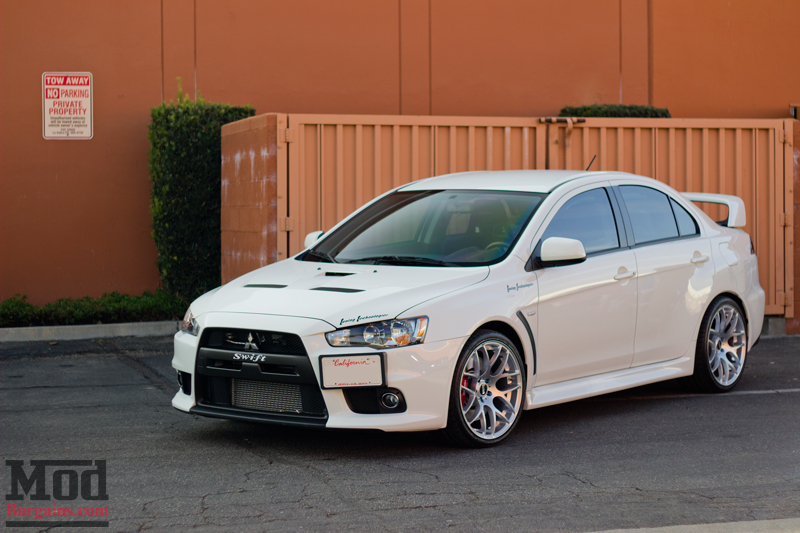 Did you know that we here at ModBargains can also help you out with modifying your Mitsubishi Lancer Evolution or Evolution X? 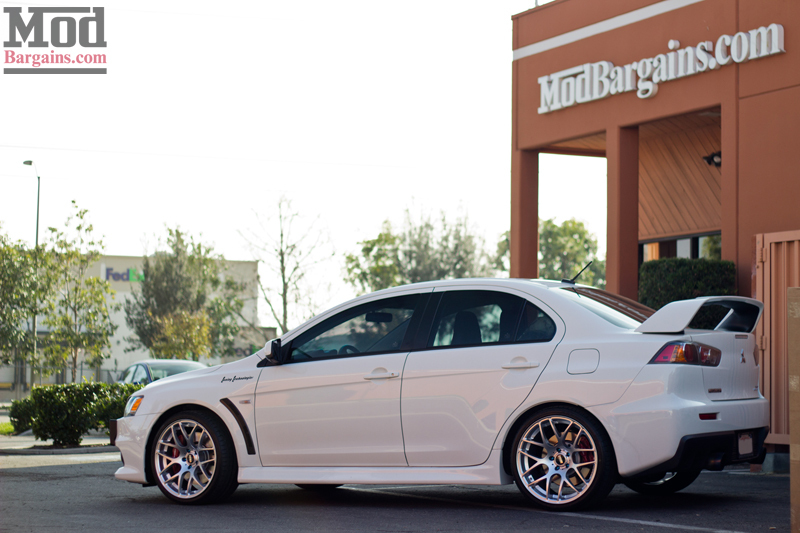 ModBargains can hook you up with the parts- and if you’re local to SoCal, you can have your parts installed right next door at ModAuto. 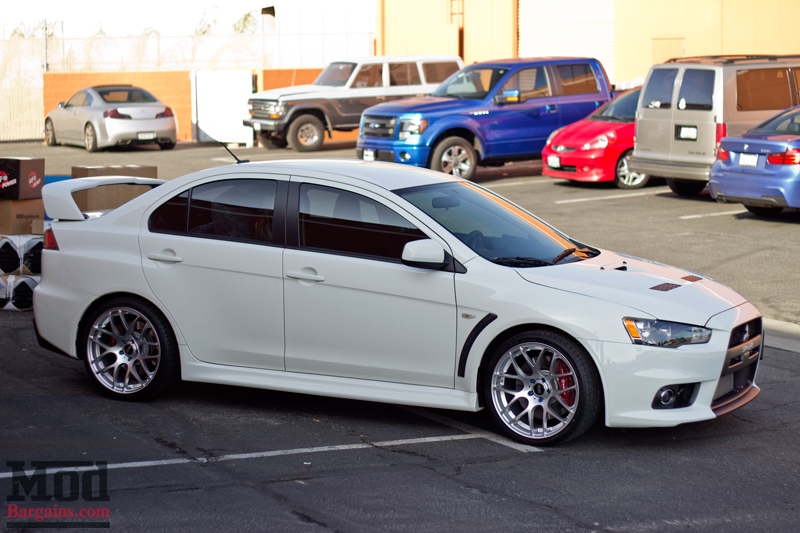 This gorgeous white Evo X rolled through the shop a while ago for a set of new VMR Wheels V710 Rims. 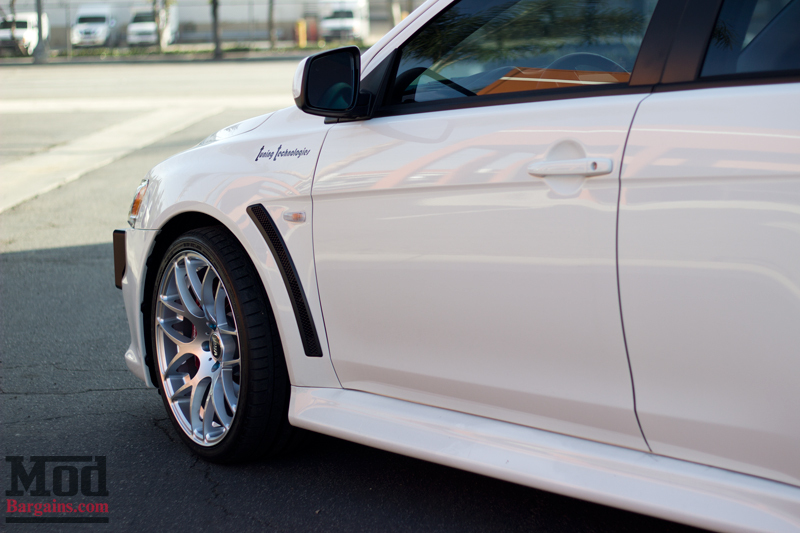 The sporty design of the V710 is a great compliment to this street shark’s styling. 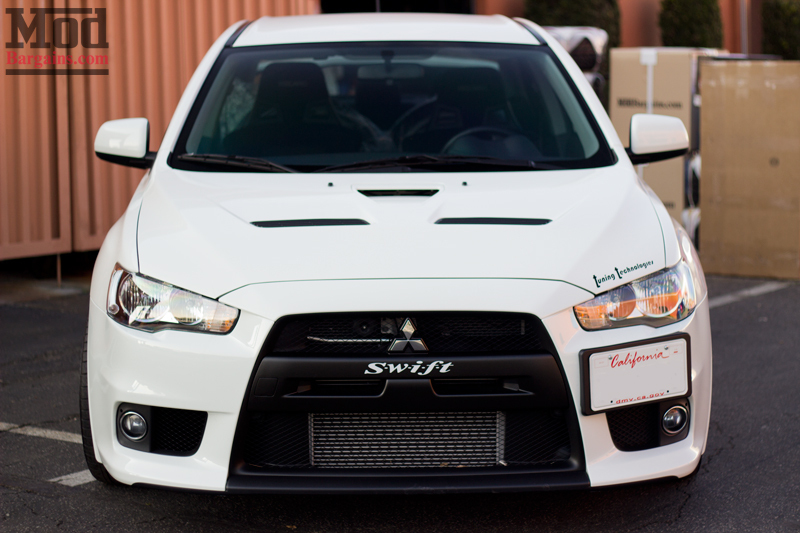 Up front, you’ll notice the front plate holder isn’t in its usual center-bumper position. This would obstruct flow to the intercooler – this is always something to think about when you have a turbocharged car like a Mini Cooper S, BMW 335i or 135i, or Ford Focus ST or Fiesta ST, and why you should consider intercooler airflow before mounting things like your front plate. 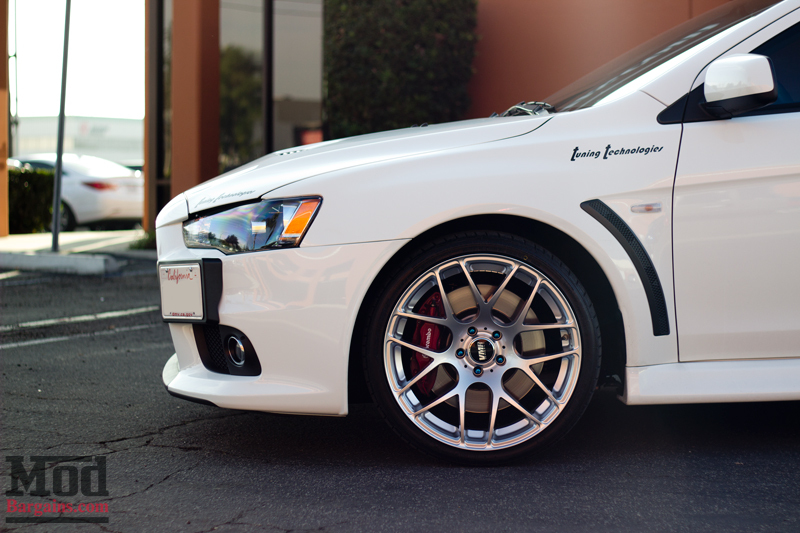 Out of the box the Evo X is a competent performer but upgrades like a Cobb Tuning AccessPORT can make it even more potent with just a reflash. 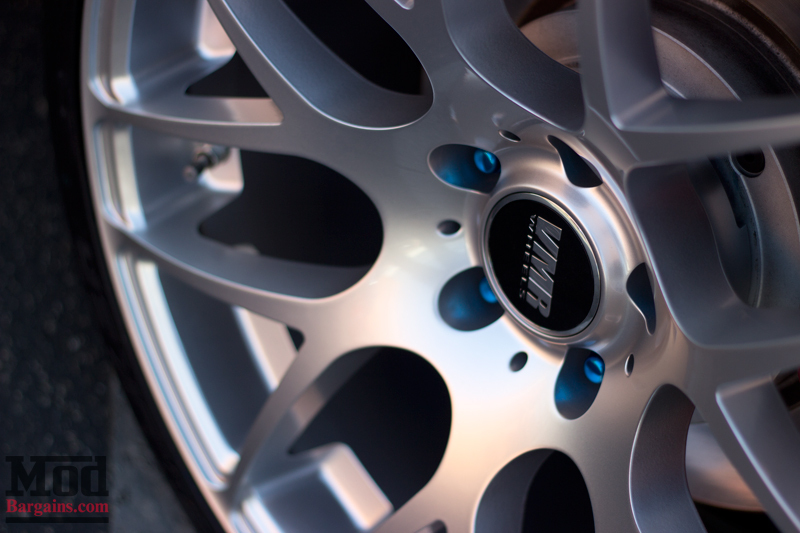 The high quality finish of the VMR V710 Wheels is a great match for the precision engineering of the Evo X. 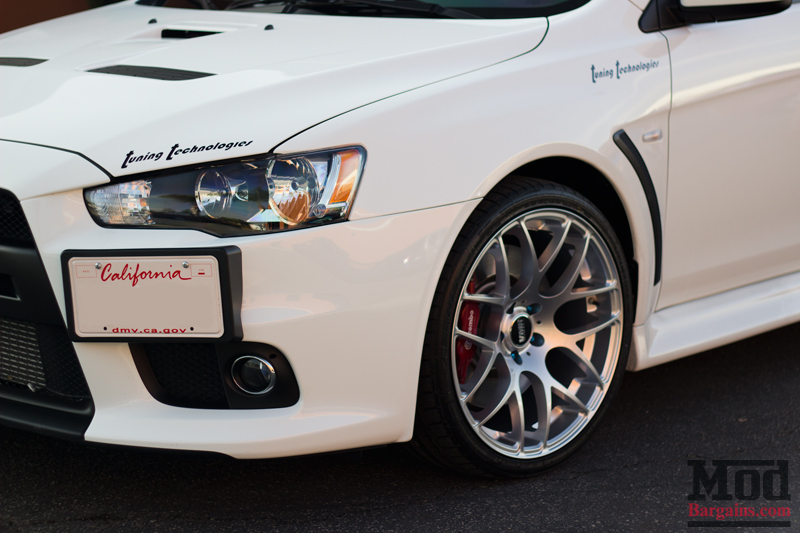 Short of an R35 GT-R, the Mitsubishi Lancer Evolution X is one of the most technologically advanced sportscars you can buy, with features like active front center and rear differentials, Active Yaw Control, Traction Control, Anti-Lock Brakes, Anti-Lag… you almost run out of letters for the acronyms for all the systems fitted to the Evo X stock.